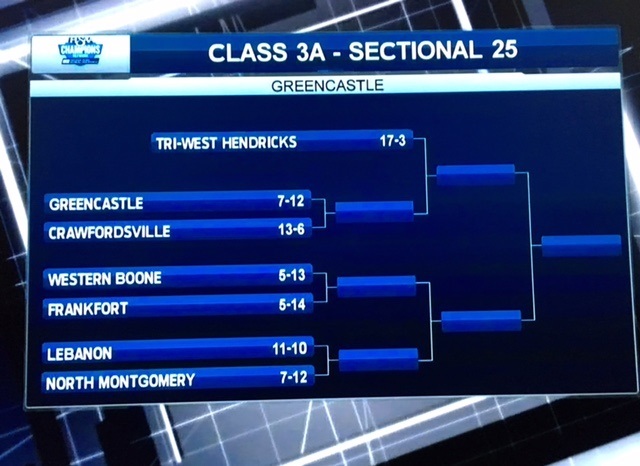 THERE WILL BE A FAN BUS TO THE BOYS BASKETBALL SECTIONAL GAME AT GREENCASTLE. THE HOT DOGS WILL PLAY WESTERN BOONE @ 6 PM ON WEDNESDAY MARCH 1ST. THE COST OF THE BUS IS $1, WITH THE COST OF THE GAME AS $6 FOR THE NIGHT OR $10 FOR THE FULL SECTIONAL. SIGN UPS WILL BE IN THE BOOKSTORE BEGINNING THURSDAY FEBRUARY 23RD AND WILL END ON TUESDAY FEBRUARY 28TH. YOU MUST PAY YOUR $1 AT THE TIME OF SIGNING UP. FRANKFORT HIGH SCHOOL STUDENTS ONLY FOR THE FAN BUS. THE BUS WILL BE LEAVING IN FRONT OF CASE ARENA AT 4:15.